FLINT, MI — The city of Flint’s ban on a cost-effective tool and its method for finding lead water service pipes may mean it could run out of money before all its hazardous pipes are removed. The price of digging up and burying a copper pipe increased from $285 to $3,513 after changes were made to the FAST Start replacement program in June. As a result, the city will pay millions of dollars in settlement funds reburying thousands of copper pipes. In 2017, the city was given $97 million in a settlement after social groups like the Concerned Pastors for Social Change and the Natural Resources Defense Council demanded enough funding to replace the estimated 18,000 hazardous lead and galvanized steel pipes in Flint. 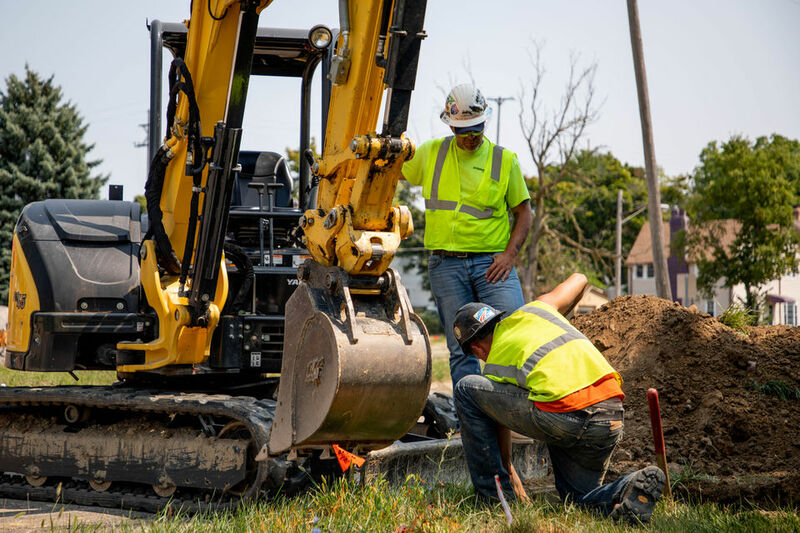 “The city’s illogical approach means that hundreds of lead and steel pipes will likely stay in the ground and in use, and Flint families will remain in harm’s way in the meantime,” said Cyndi Roper from the NRDC. Rather than checking homes documented to have hazardous pipes first, the city wants to dig up pipes at all 25,800 homes with active water accounts at its own pace. The city referred all questions about its methods to AECOM, a Los Angeles-based engineering firm contracted for $5 million to oversee FAST Start. Alan Wong, Flint program manager for AECOM, testified the city doesn’t prioritize which homes are assigned to water piper replacement contractors at a Aug. 21 U.S. District Court hearing. The city’s current method for finding hazardous pipes caused social groups to seek a court order to enforce the settlement’s central agreement — prioritizing the removal of lead pipes. The court hasn’t ruled on the request. According to a city press release, of the 7,060 homes checked this year, 79 percent had pipes made of copper. The city will pay $19.4 million for digging up those copper pipes and reburying them. A statistical analysis submitted to the court shows this year’s method finds lead at a worse rate than randomly picking a home for the work. The current method’s 21 percent success rate for finding lead contrasts with last year’s success rate of 80 percent. AECOM isn’t using the computer model to find these lead or steel pipes because the model has a 94 percent success rate, Wong said. In 2016, retired Michigan National Guard Gen. Michael McDaniel was assigned to manage FAST Start and the city was mandated to find and replace all its lead or galvanized water service pipes. It was a daunting task because funding or a reliable record of the city’s water system wasn’t available, McDaniel said. After learning about Flint’s problem, researchers Eric Schwartz from the University of Michigan and Jacob Abernethy from Georgia Tech worked free of charge and built a computer model that predicts what materials a home’s water service pipes are made of.